The idea that the Apollo missions to the Moon were a hoax can be found in books, DVD documentaries and many websites. 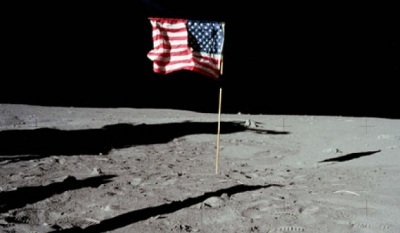 These claim that sending crews to the Moon was impossible so NASA faked the missions on Earth. Some put forward evidence to prove this. This conspiracy theory is popular, but no astronomers or space scientists take it seriously. Here are some of the most common claims made to suggest that the missions were faked and our responses. 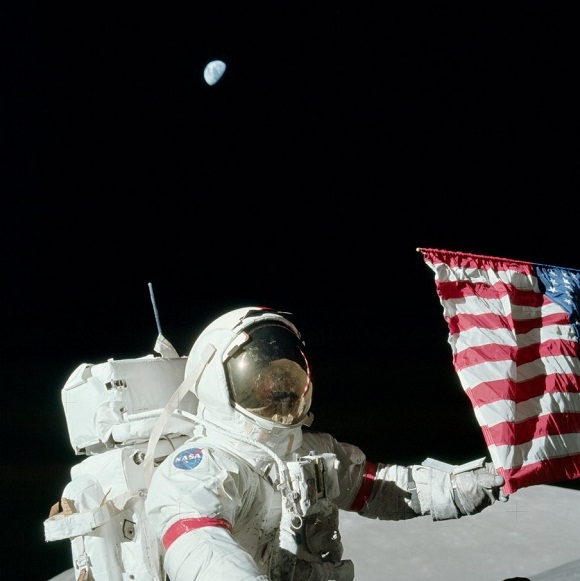 All the Apollo missions landed during the lunar day so the astronauts’ cameras exposure settings were set to photograph the Moon’s surface, the Lunar Module and the astronauts themselves as they were brightly illuminated by the Sun. The stars were simply too dim to register on the film under these settings. Look at photos taken in Earth orbit from saying the International Space Station; you will not see any stars in them either. 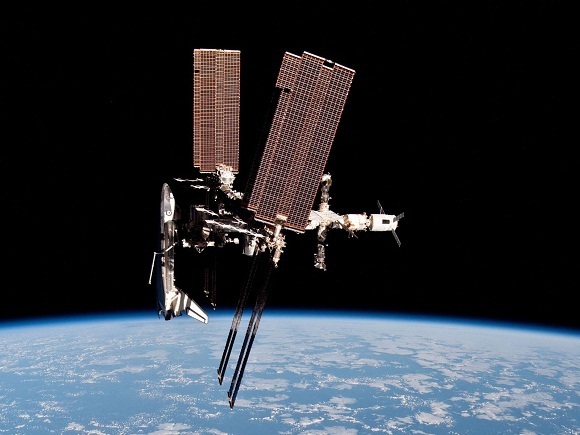 The International Space Station with docked Shuttle and Soyuz but no stars. The Apollo missions did indeed pass through the Van Allen Belts, invisible ‘doughnuts’ of radiation surrounding our planet. If astronauts were to stay in the Belts, they would eventually be killed by the radiation. The mission planners were well aware of this hazard. However, the Apollo missions passed through the fringes of the Belts where the radiation is not as intense and the spacecraft transited the Belts in less than 30 minutes. During this time, the astronauts did not receive a dangerous dose of radiation. Lead shielding was not required. The radiation hazard to Apollo crews was carefully evaluated before the missions and medical examinations of the astronauts showed that as predicted there was no impact on their health. This is so mysterious that it is amazing that anyone makes a fuss about it! As he descended the ladder to the surface, Armstrong stopped to pull a cable which released a TV camera which swung out from the side of the Lunar Module. This was to broadcast his historic first steps worldwide. On recordings, you can hear him asking mission control if they were getting a good picture before he continued climbing down. The Lunar Module was a unique vehicle, designed to fly just twice per mission in airless and low gravity conditions so it did not need a streamlined structure. 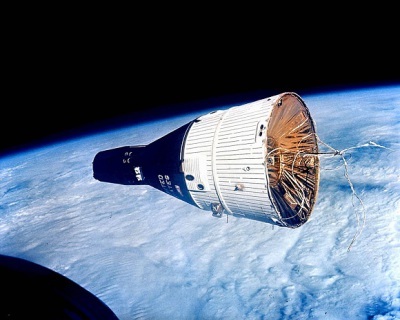 Large areas of its exterior were covered in Kapton and Mylar foils (which were indeed taped and stapled together in places) to protect components from the Sun’s heat. This is quite common on satellites. The underlying structure including the crew’s cabin was much sturdier, constructed from aluminium alloys. This is another daft assertion, are Hollywood props marked in this manner? 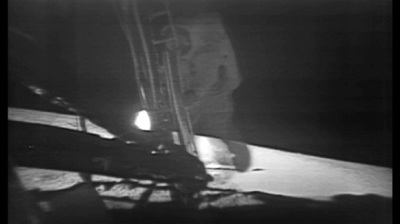 The image in question is cropped from a much larger image taken during the Apollo 16 mission. In the original image, the rock is clearly visible but no “C” can be seen. In fact, the “letter” can only be seen in one print and later generation copies of it. What is it? It is impossible to say, perhaps a tiny coiled hair or fibre was trapped in the scanner. If this is the best Moon hoax proponents can do, it is scarcely surprising no one takes them seriously.